Hi Doodlebug friends! 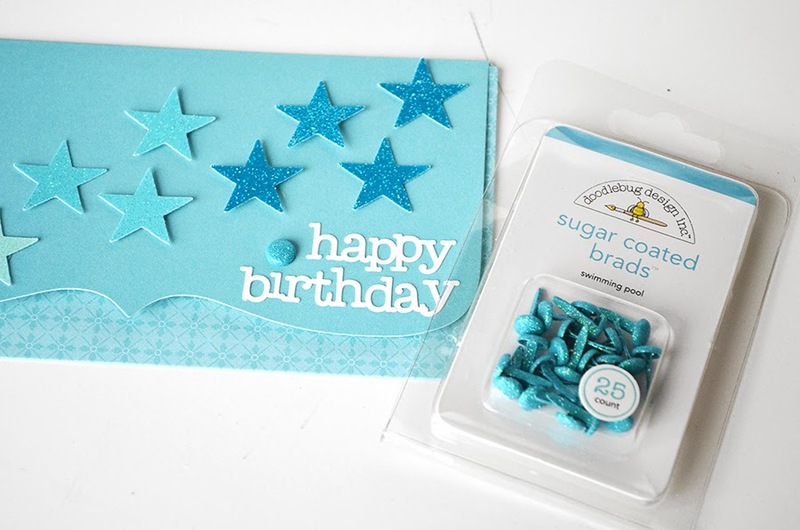 It's Wendy Sue here today - sharing a fun little project with you! 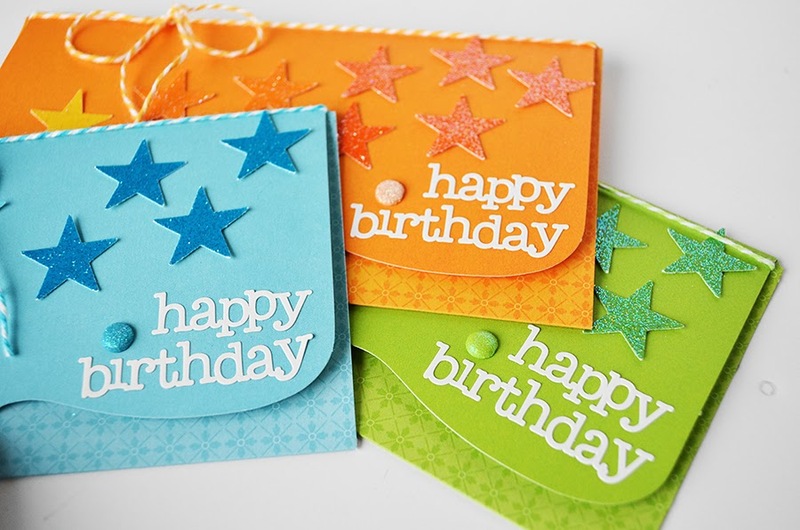 With 3 little boys of my own, a bunch of nephews, and loads of neighborhood kids, it's a safe bet that I'm always needing a birthday card for a boy - and in spite of my efforts, I seem to always have a stash of girl cards, and not enough boy cards! 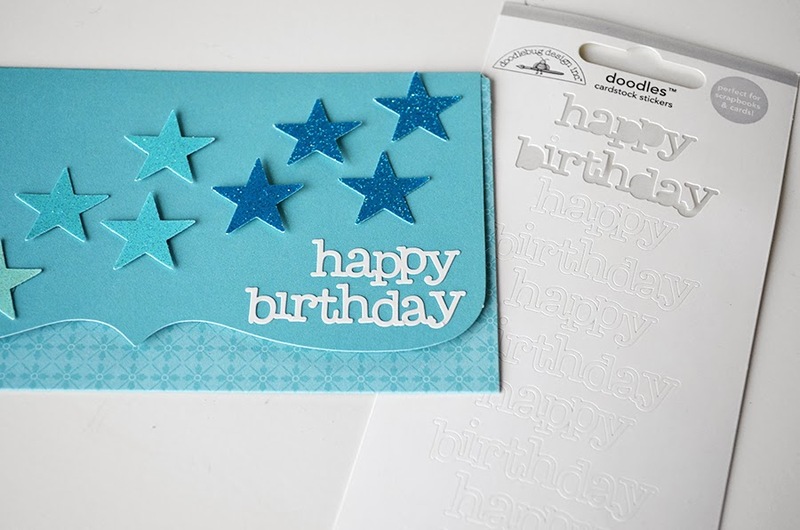 That's why I've set a goal to make a bunch of cards that are "boy-friendly." 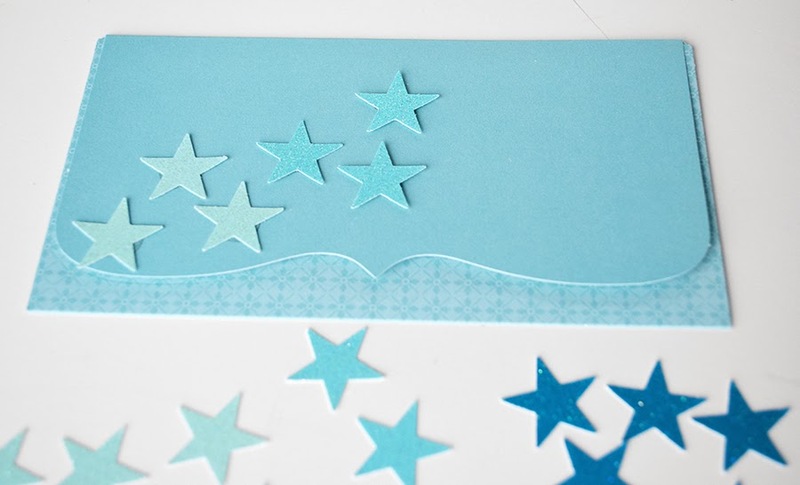 Today, I'm sharing my first set of boy cards with you - and not only that, I'm sharing a quick photo tutorial so you can see how quick and easy they are to make! 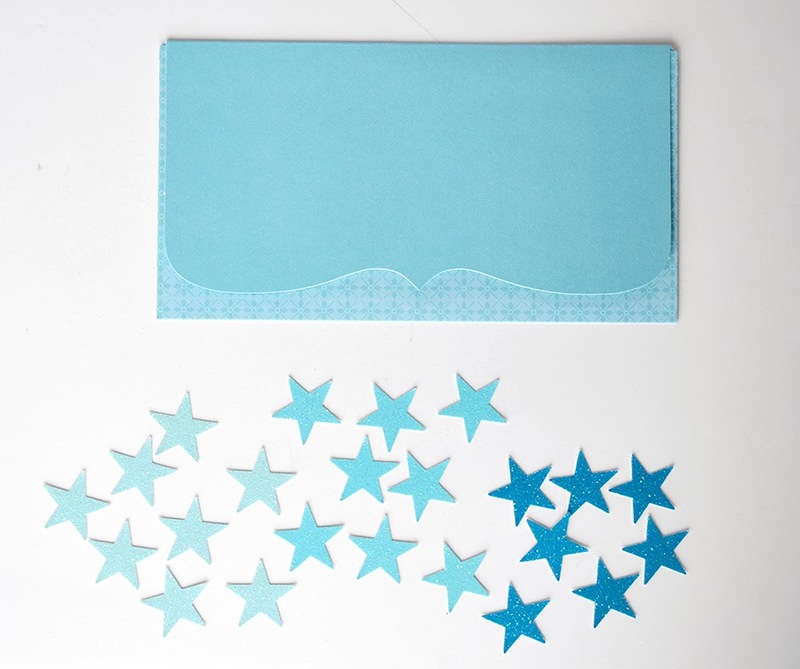 Okay, now that we have our supplies, let's start punching out stars - I punched several stars from each color. Finally, place three or four stars from the darkest shade - again, keeping with the diagonal pattern. Finally, tie a piece of coordinating doode twine around the top flap, placing the bow on the left side to create a balance with the sentiment that is on the right side. 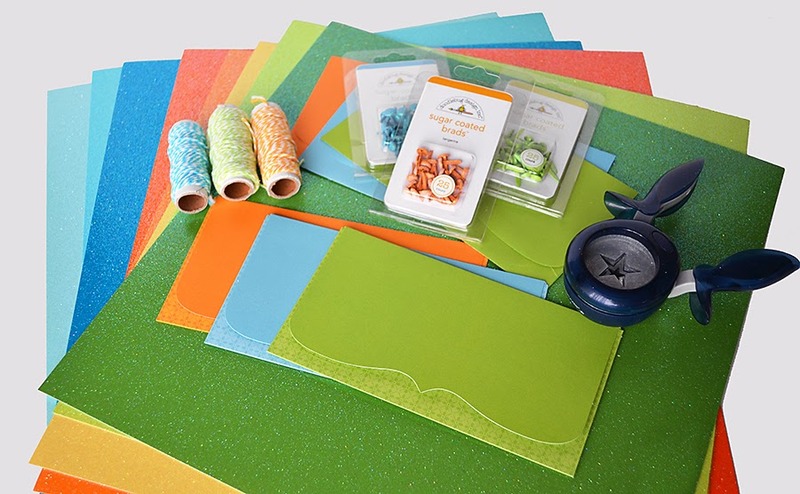 Creating coordinating projects like this is quick and easy because of the way Doodlebug has created their lines, year after year, staying true to their original colors - items I purchased five years ago coordinate with items released at CHA last month - I love that ! 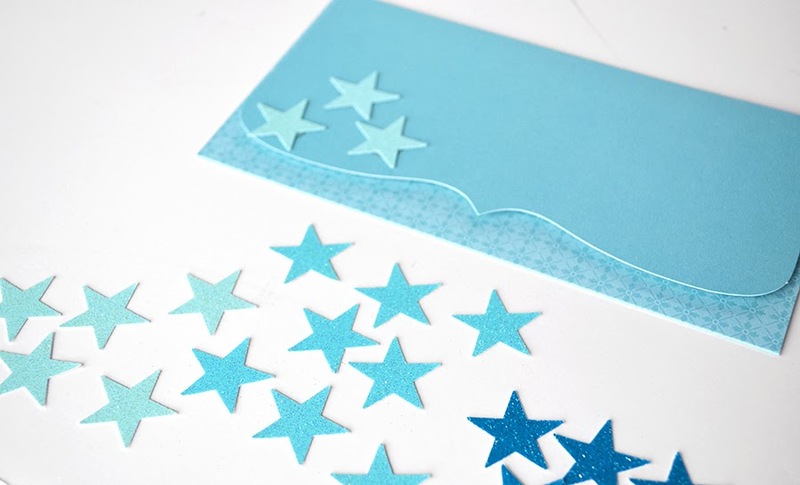 I hope you have lots of fun creating your own set of ombre glittered star cards! Wendy, I LOVE your boy cards. I also have more boys in the family than girls to make cards for and am always wondering what to do. I look forward to seeing more boy ideas. Thank you very much!! 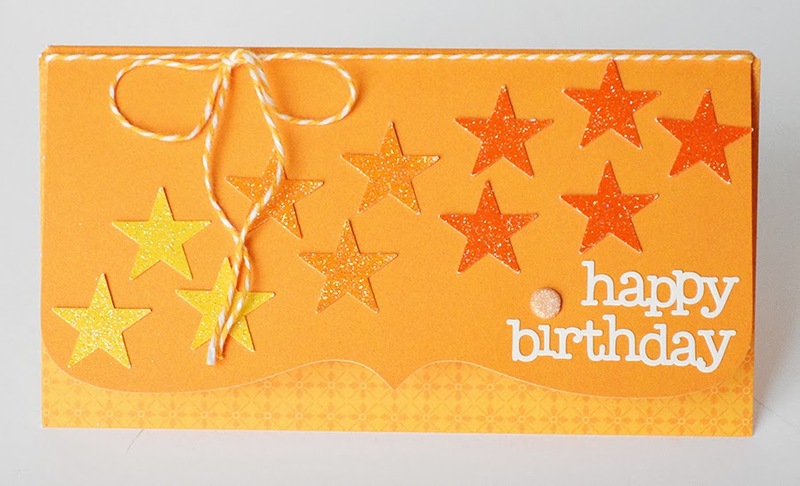 Such bright and happy colours, love the envelope and stars! 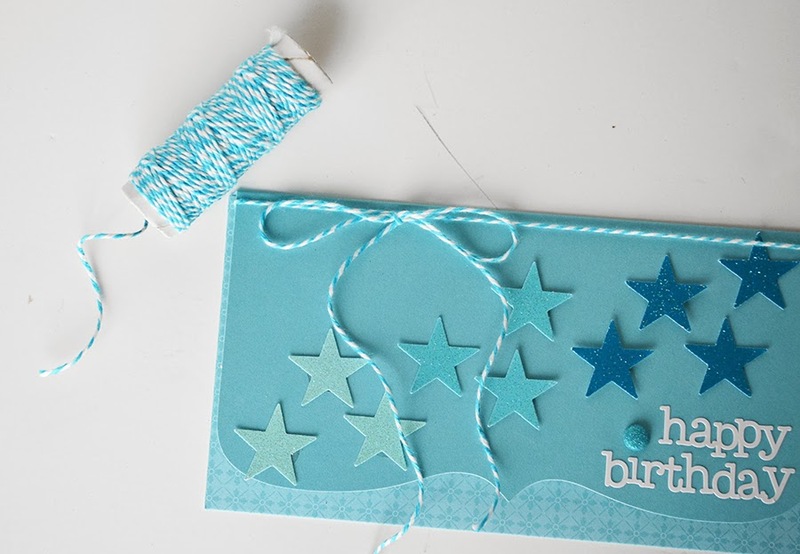 nice tutorial but did not tell the size of paper used and how to get the tag design. You started with the design already made. 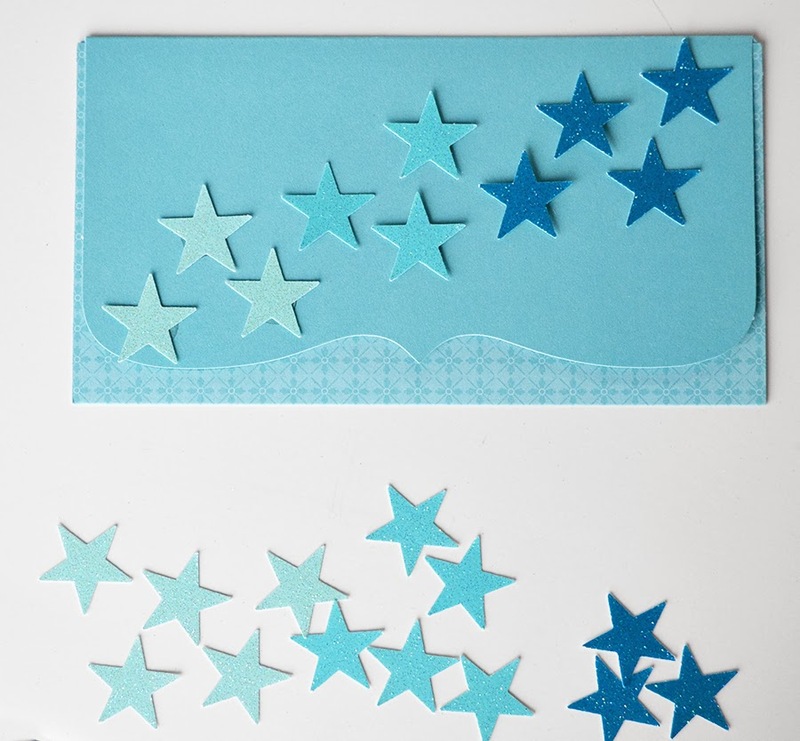 If you are making from scratch - what are the sizes and what die did you use? These are so fun! 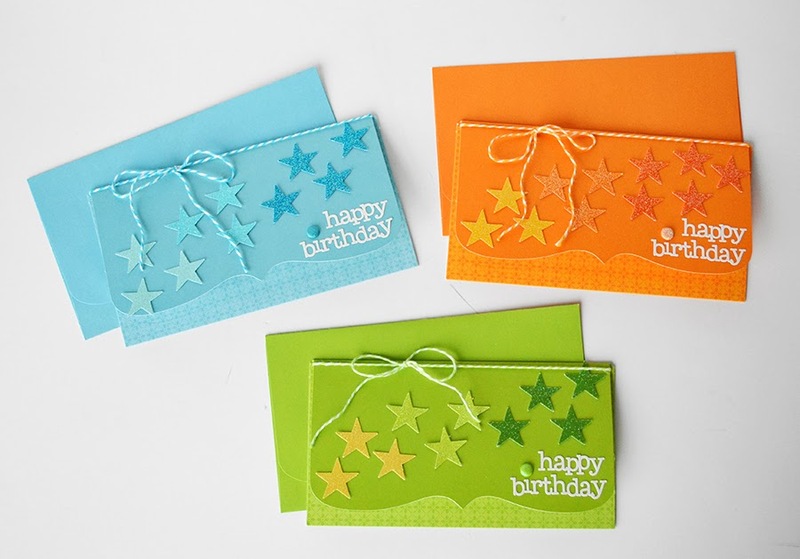 I love that they are monochromatic because that's the way I think about the cards I make for people "what's their favorite color?"! TFS! These are great! My dh has birthday coming up in March. 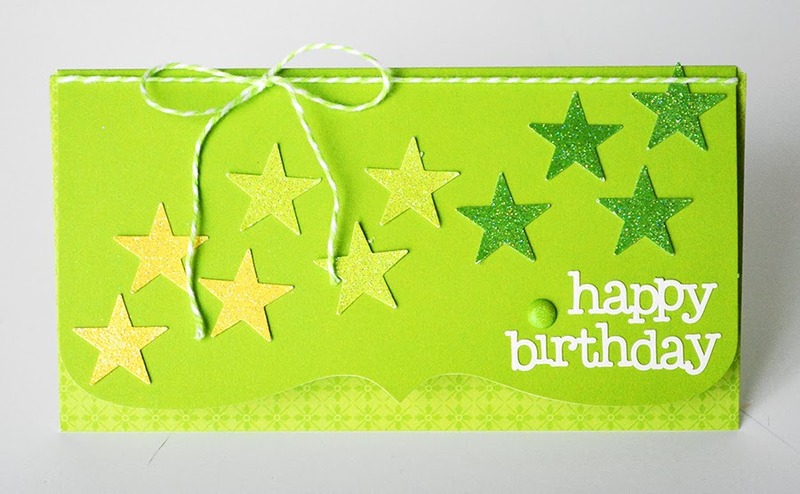 Now I know what card to make him :-) Thanks for the inspiration!